This issue is themed "Brilliance and Beauty" and we find out that the beauty of life is in the brilliance of the choices we make. 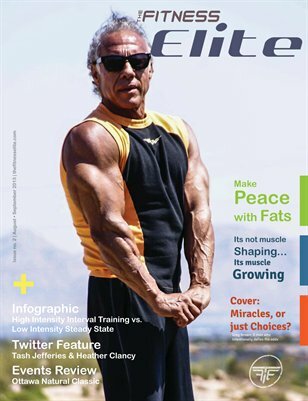 Our cover story about Greg Brown, a passionate Las Vegas personal trainer illustrates how simple choices can truly alter one's destiny. In this issue we also debut our Affiliate Contributors such as Family Wellness Section Editor Michelle Vodrazka, and Holistic Nutritionist Kate Stephey, and CrossFit Affiliate Machiko Emoto of CrossFit Toronto.